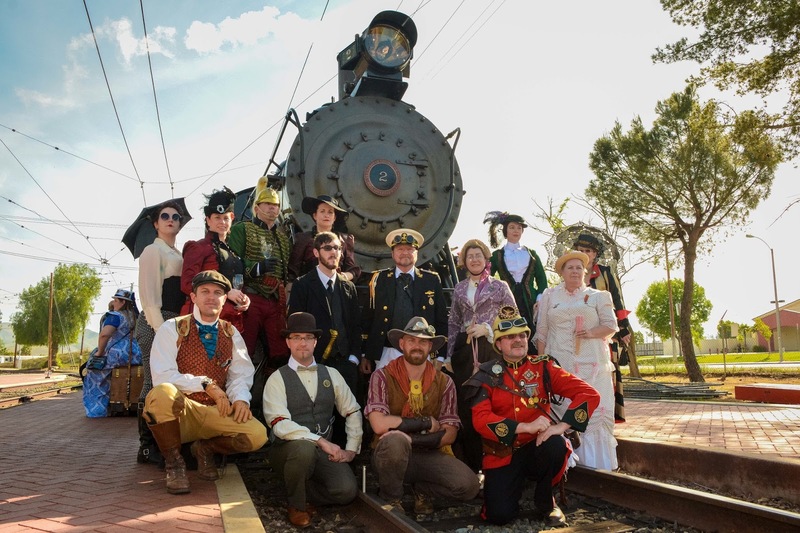 Steampunk Fashion Guide: Win 4 Tickets to Iron Horse Family Steampunk Carnivale, March 18-19! Win 4 Tickets to Iron Horse Family Steampunk Carnivale, March 18-19! We're giving away a 4 pack of tickets to the Iron Horse Family Steampunk Carnivale, March 18 & 19 at Orange Empire Railway Museum in Perris, California! Enjoy steam locomotive and trolley rides, a Steampunk fashion show, Steampunk craft workshops, live entertainment, Steampunk artisans & vendors, food, activities for the kids, and more! More information on the event is available on the Orange Empire Railway Museum's website, but for the most up-to-date information on this year's event, check out their facebook page. Enter to win 4 tickets, good for both March 18th & 19th, using the form below. A winner will be chosen at random and notified by email on March 14th. Good luck!